1. Pokerstars announced earlier this week that they had been granted a license from the AAMS (Amministrazione Autonoma dei Monopoli di Stato), which will enable them to target the Italian market. 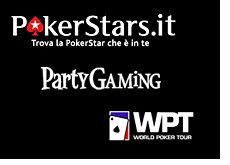 They also launched Pokerstars.it, a site that obviously caters to Italian-speaking poker players. 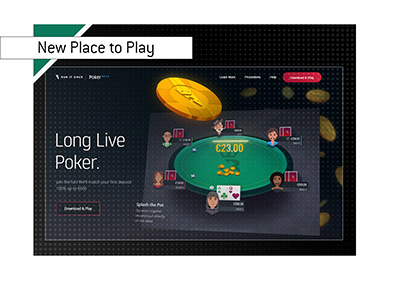 Pokerstars stands to significantly increase their player base as a result of this move. It is estimated that 500,000 accounts will be opened in the first year throughout the Italian poker industry. Italy is an extremely lucrative market, which is why the online gambling industry was abuzz when the Italian government was forced to liberalize their standards regarding the granting of new licenses. According to an October 17th Pokerstars press release, Italian players will be able to participate in real money games on Pokerstars.it "within the limits imposed by Italian law." 2. Partygaming's Stock Continues to Tank. Even with the global markets recovering (slightly) this past week, PartyGaming's common shares continued to tank. They closed the week at 122.00p, which is their lowest closing price ever (taking into account a 1:10 reverse split.) Keep in mind that at the beginning of June, after the split, Partygaming was trading at 300.00p per share. When the company originally went public in 2005, the shares were trading at a split-adjusted price of just around 1500.00 per share. They reached a high of about 1700p per share in July of 2005. Even after the UIGEA was passed into law and Partygaming pulled out of the United States, the stock was still trading at around 300.00p per share and actually hit a high of around 560.00p in the months that followed. The stock took it on the chin even after the company re-launched its website, upgraded its software and introduced aggressive new marketing strategies. You really have to wonder what the company will have to do to turn things around. Partygaming now has a market cap of 502 million pounds - when Partygaming first went public, it had a market cap of just around 5 billion pounds after its first day of trading. 3. World Poker Tour. The World Poker Tour officially pulled the plug on their online gaming business on Friday afternoon. 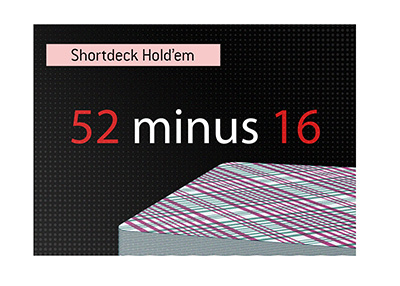 The company filed an 8-K with the SEC that said that they will no longer be operating their WPT-branded online gaming website on the Cryptologic network after November 14th, 2008. Maybe the World Poker Tour will be switching to another network, but based on recent comments in an investor conference call, I really doubt it. The company will be focusing their energies on ClubWPT.com and likely saying goodbye to their dreams of operating a successful online gambling site. The online poker industry is just so competitive that they never really stood a chance.